This year I was presented with the opportunity to take part in Aoraki Bound. I grabbed the challenge with both hands, signed up, started training, and tried really hard not to think about the reality of what I was about to do! 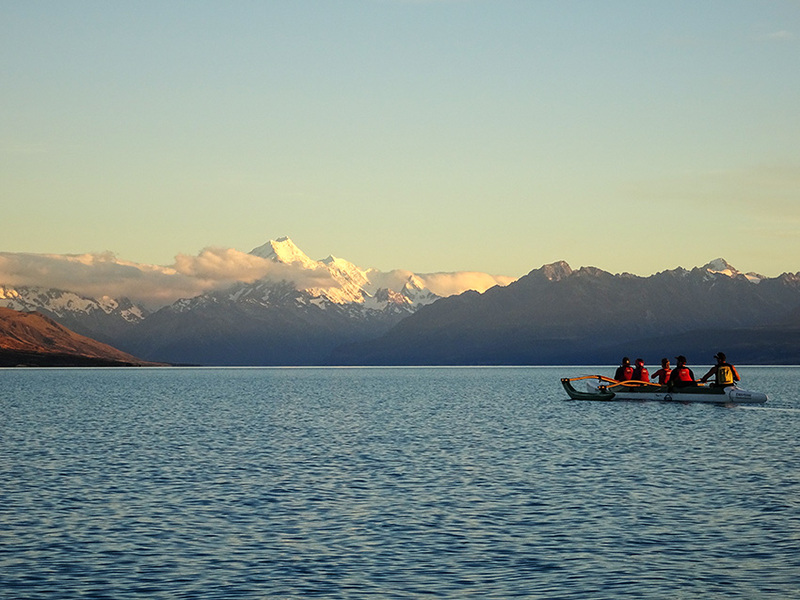 Aoraki Bound is a course run in partnership with Ngāi Tahu and Outward Bound. It is very similar to an Outward Bound course where you are challenged both physically, mentally, and pushed beyond what you think you are capable of. On top of all that you are immersed in te ao Māori, taking part in pōwhiri, waiata, haka, learning about Ngāi Tahu kōrero. You are expected to step up and find a space for leadership in this area. For twenty days you’re isolated from your normal everyday life. There is no technology, no contact with your friends and whānau, and not even a book to read. It’s amazing! Aoraki Bound was everything and more than I expected it to be. Since I have been back, everyone has been asking, “What was it like?”, “What were your highlights?”. They have proven to be very hard questions to answer. For those who know me well, the best answer I have is — there wasn’t a single minute when I didn’t want to be there. I can honestly say this. Every activity, every bit of pain, every laugh and conversation, every challenge, and every person contributed to an absolutely indescribable 20 days of adventure. One aspect, however, that stood out for me, as it created one of my biggest challenges, was having the opportunity to be one of the kaikaranga for our whānau. Karanga is so much more than just the words. The responsibility of representing your group, your iwi and your entire culture is immense at the same time as being a complete honour and privilege. This started from the outset, as I had the role at our first pōwhiri in Anakiwa. Having had somewhat of a heads up for this, I was semi-prepared, however, I don’t remember much of the stunning ferry ride through the Sounds, as all I could focus on were the words going round and round in my head. A funny thing occurs when I karanga. No matter how nervous I may be leading up to it, as soon as we are all gathered and ready to go, a sense of calm comes over me. In Anakiwa this was heightened by the environment that we were being welcomed into. Anakiwa is truly one of the most visually stunning environments that I have ever seen, and we were not only welcomed by the people of Outward Bound, but also by Tānemahuta and his tamariki in the form of birdsong. From Anakiwa our next stop was Arahura Marae. I was honoured to be able to support and be supported by two other wahine toa from our combined whānau. What a marae to stand and karanga on! By then we had bonded as a whānau and this karanga meant so much more as I was representing all of us as one rōpū. I increasingly found that I was able to draw strength from those standing with us and the presence of our taiao that surrounded us. To karanga with the mighty Arahura River rushing beside us, and the greatness of the wharenui Tūhuru standing before us, was all we needed to guide us into one of the most incredible whare that I’ve ever seen. Our next marae hop was to Arowhenua. This was a stop that I had been talking myself in and out of being kaikaranga for during the whole trip. Arowhenua is home for me, and with that I felt an increased sense of responsibility and pressure. However, due to a couple of circumstances, the choice of whether to karanga or not was no longer a choice. I felt no sense of calm this time. I was honoured to undertake the role, but I was stressing out prior to it, fairly overcome with emotion during it, and had to work hard to hold it together afterwards. 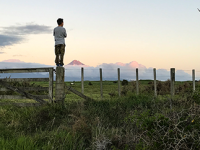 I am currently unable to come up with a term that encapsulates what it meant to me to stand and be the māngai, or mouthpiece, for a new whānau who had come to mean everything to me, while entering Arowhenua, where my own whānau had lived generations ago but I had long been disconnected from. I believe that things happen for a reason. During our time at Arowhenua, we got to sit down with Aunty Suzie to talk about womanly things and have a good look at the role karanga plays. Amongst many of her messages, Aunty Suzie talked to us about making mistakes during karanga. Basically, what I got from her kōrero was that whatever came from us at the time is what is meant to come from us, regardless of what we had planned to do. Ki a koe, e tōku mātanga, tēnei taku mihi whakawhetai ki a koe. He oranga ngākau, he pikinga waiora — the feelings in your heart will enhance your sense of self-worth. Imagine this — after a 20-day hīkoi that has taken you from the point of some of our earliest pā sites, to some of our most historically-important sites, to places that are working to ensure the future health and prosperity of our iwi, you finish at the heels of Aoraki, our predominant tipuna. You have spent the day before paddling your way up Pukaki with Aoraki standing proud in front of you; you have sweated, laughed, and cried with a group of brothers and sisters that were strangers 20 days before. Just that morning you had run 21 kilometers in rain and a head wind to cross the finish line to a rousing haka, and you are about to see whānau and friends who you have had next to no contact with throughout this journey of self-discovery. 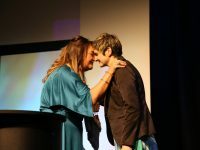 Then you get to stand beside your tuakana and welcome everyone to join with you to celebrate in your accomplishments and to give them a taste of what this time has meant to you. I honestly thought that karanga would be one of those things that the more you did it the easier it would become. I was mistaken. With every step I took on this hīkoi of karanga, it became more meaningful, more spiritual, and more difficult to do justice to this role that has been one of the greatest challenges and honours of my life to date. I would like to take this opportunity to thank all those involved in Aoraki Bound; those who have come before us and those that will come after us. Ngā mihi manahau ki a koutou o mātou kaiako, ki a Sampson koutou ko Tiaki, ko Rangimārie. Nō mātou te whiwhi — thank you for being alongside us, challenging us, listening to us and for the Anakiwa sets! To the kaiako from Outward Bound, Kate, Shelby, Meg, Dave and Tui – kei runga noa atu koutou! To learn from you all and with you all was such a privilege. I am in awe of your skills, patience, and enthusiasm for the work that you do. I cannot forget to mention that without the support of my Tātai Aho Rau (CORE Education) whānau, I would never have been able to undertake this learning. Thank you for understanding that learning comes in many shapes and forms, and that our own understanding of our culture is a priceless asset. A special mention must go to the whānau of Kupe 626 and Kuramarotini 626, without whom this experience would have been nowhere near as amazing. Hōpua mai, hōpua mai, hōpua mai ra ē. 1. Part of the karanga that Gemma wrote. 2. Part of the karanga that Gemma wrote. Gemma Stewart is an Accredited Facilitator (English-medium and Māori-medium) for CORE Education. Gemma leads two Te Reo Māori programmes: Te Reo Puāwai and Te Reo Manahua. 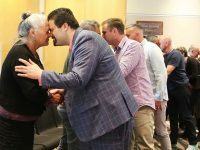 She mentors teachers and leaders nationwide to increase their confidence in te reo Māori and how to naturally integrate the use of te reo in their spaces. She also works with colleagues in supporting leaders to form Communities of Learners (Communities of Learning|Kāhui Ako. She supports individuals and groups through change so that they feel valued and that their voice is recognised and heard. Gemma supports her Kāi Tahu iwi and has a keen interest in te reo Māori development. Harmful Digital Communications and Schools – what does it all mean? What an amazing experience, Gemma. I think that’s a true retreat, twenty days outside your comfort zone and without outside contact. Thank you for sharing your adventure with us and it made a great read. I must start making Sundays special again, a day without technology and a day to contemplate something deep and meaningful. Wow Gemma, what a fabulous read. I witnessed, first hand, the glow that you returned with from this experience, and have been waiting to hear more of the incredible experience. As a fellow ‘bounder’ I thought I had some understanding of what you were embarking on. I had absolutely no idea of your personal challenge and the richness of the hīkoi of karanga. Thank you so much for sharing this story. Experiential learning is something I have long held as the best learning, and you have captured this for us.